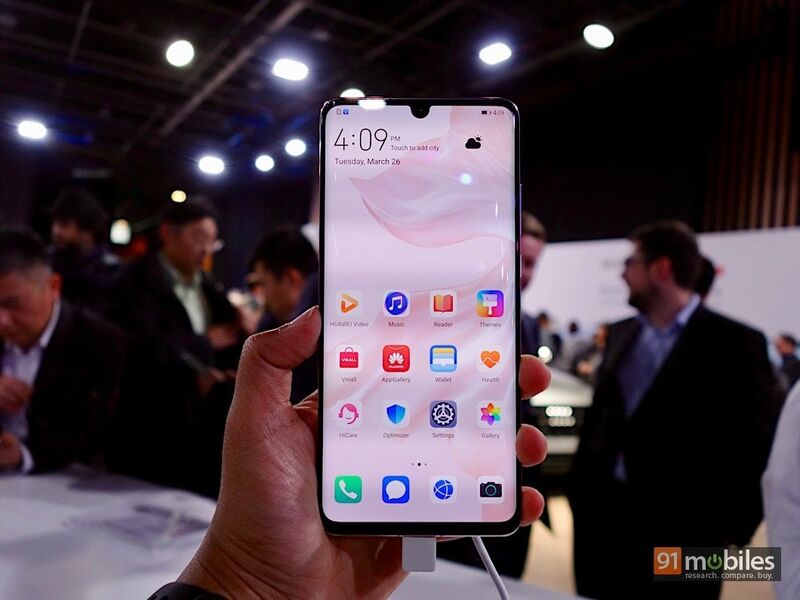 At an event in Paris today, Huawei took the covers off its flagship P-series smartphones for 2019, the P30 and P30 Pro. 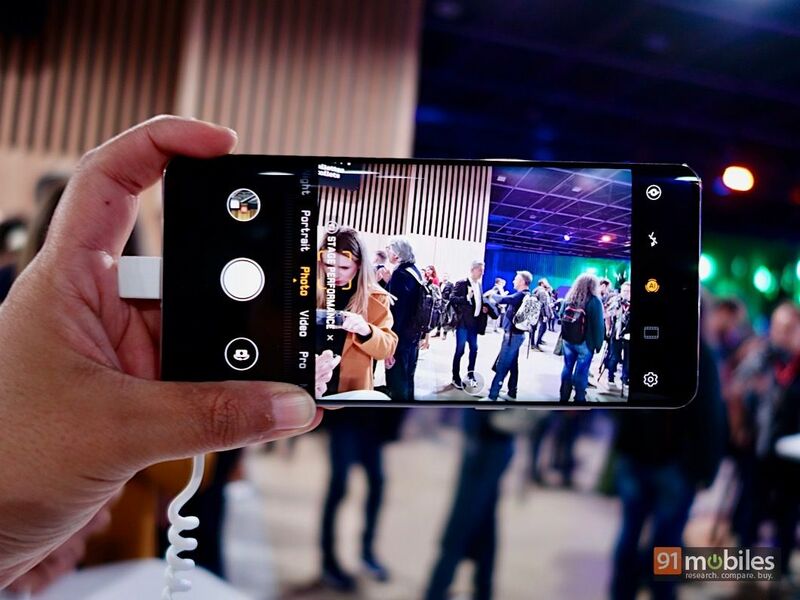 The two smartphones share several similarities, both in terms of design and core specs, but the underlying theme is clear here – and it’s all about cameras. While the P30 Pro features a Leica-certified quad-camera setup, the P30 isn’t far behind with triple rear cameras. I got a chance to spend some time with both devices at the launch event, and here’s everything you need to know if you’re interested. 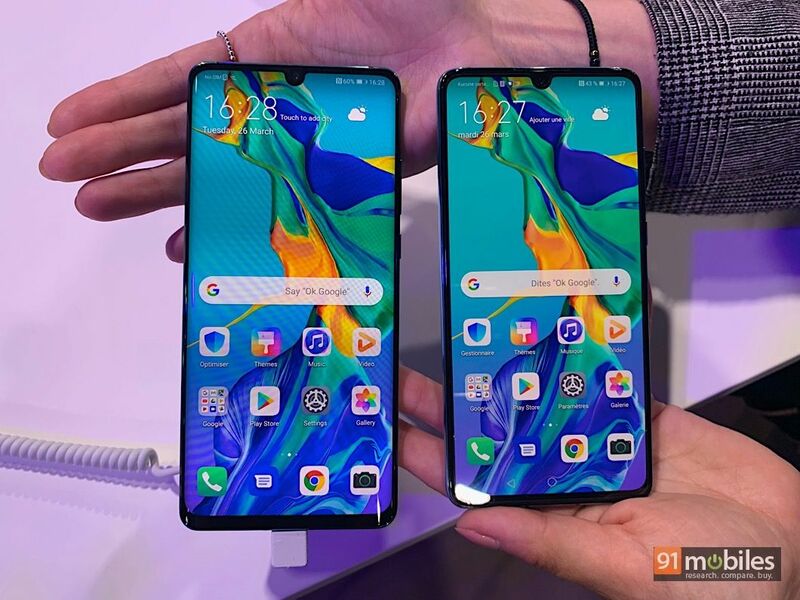 In terms of design, both the P30 and P30 Pro are pretty much identical, except for size. They come in five colours – Black, Breathing Crystal, Pearl White, Aurora and Amber Sunrise and are crafted from glass. 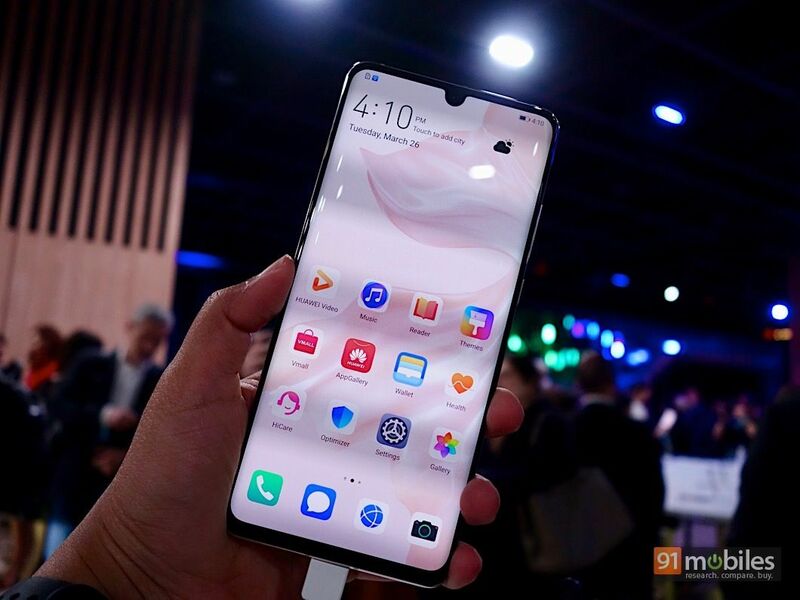 While the P30 features a 6.1-inch OLED display, the P30 Pro features a larger 6.47-inch screen. 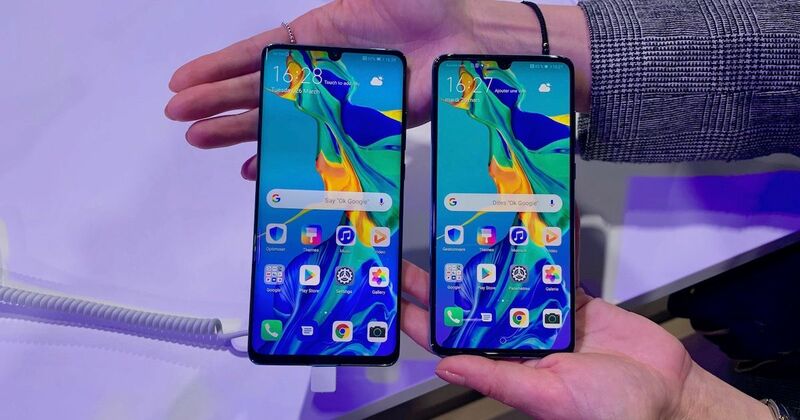 Both the phones are surprisingly compact, thanks to the tiny dewdrop notch on top and minimal bezels on all sides. They also feature in-display fingerprint scanners, but I didn’t get a chance to test this. While the displays feature full HD+ resolution, they offer excellent clarity, good viewing angles and punchy colours. The P30 has a flat display, while the Pro variant has a curved screen design which adds an instant dash of premiumness to the device. 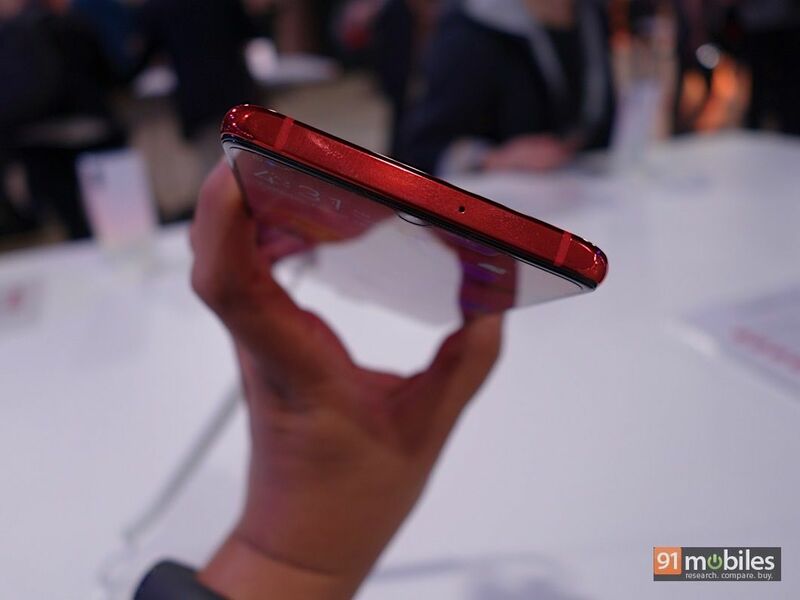 Both the phones are aesthetically pleasing and ergonomic too, although I found that the glossy finish becomes plastered with fingerprints in a few minutes. The P30 is IP53 certified for water and dust resistance, while the P30 Pro gets a higher IP68 rating. In terms of the ports and buttons, the P30 features a power button and volume rocker on the right, along with an ejectable SIM card tray on the left. 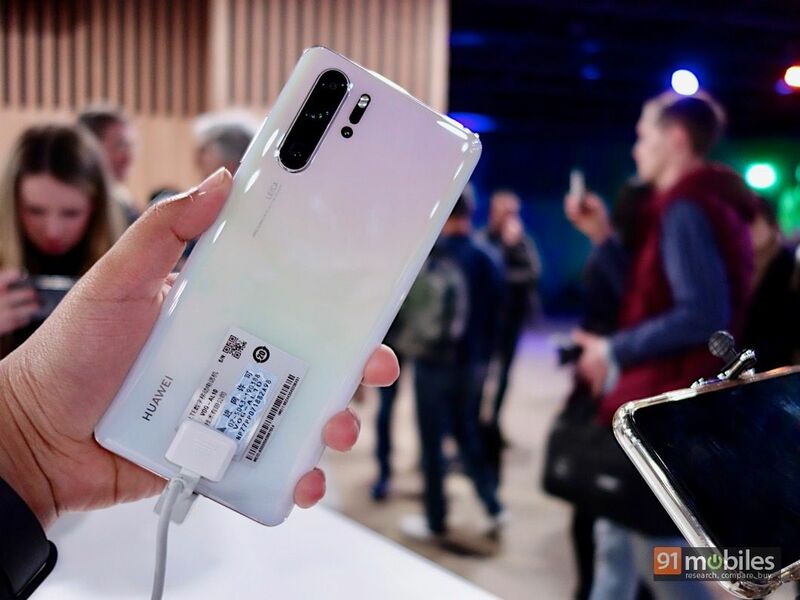 The tray accepts a pair of nano-SIMs, with one of the slots doubling up as an NM card slot, which is basically Huawei’s proprietary SD card design. 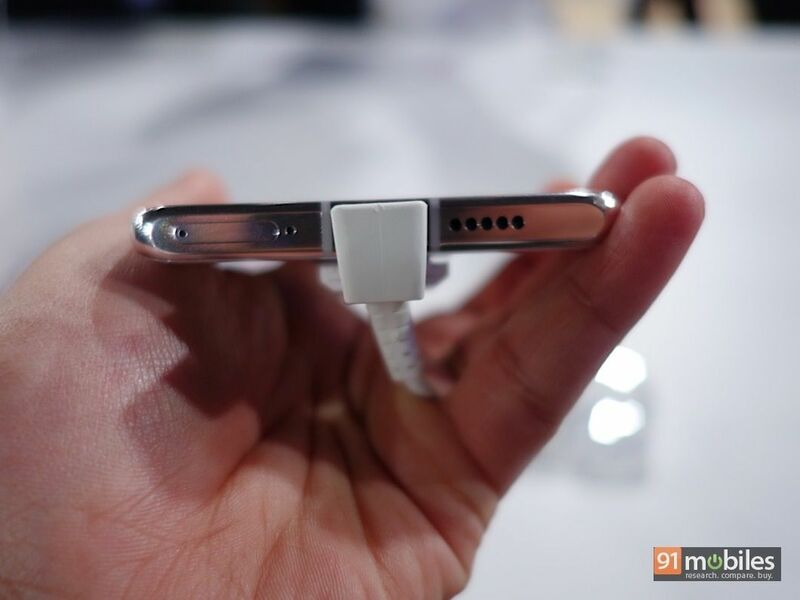 On the bottom, you’ll find a loudspeaker grill and USB Type-C port for both charging and data transfers. As expected, the 3.5mm audio jack is missing on both devices. 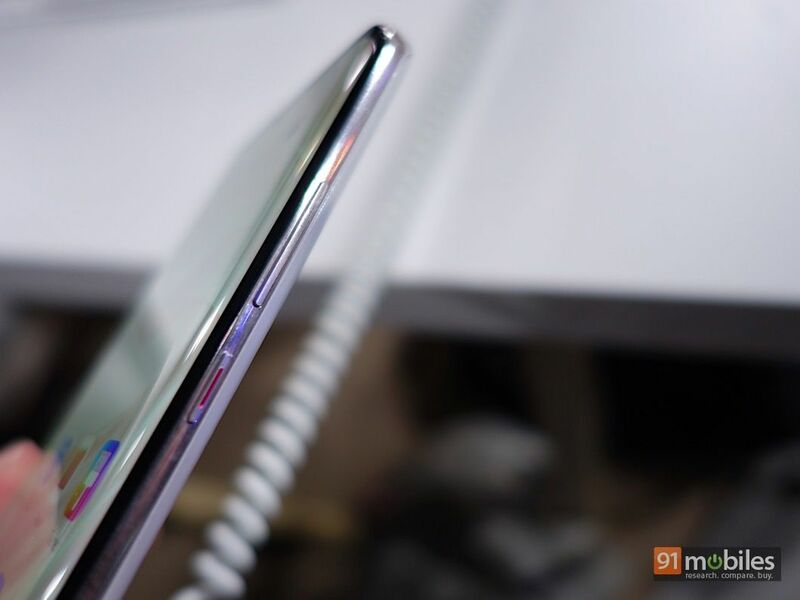 On the P30 Pro, the port and button placement is slightly different, with the bottom edge housing the SIM card tray in addition to the loudspeaker and Type-C port. It also gets an IR blaster at the top, a feature missing on the P30. 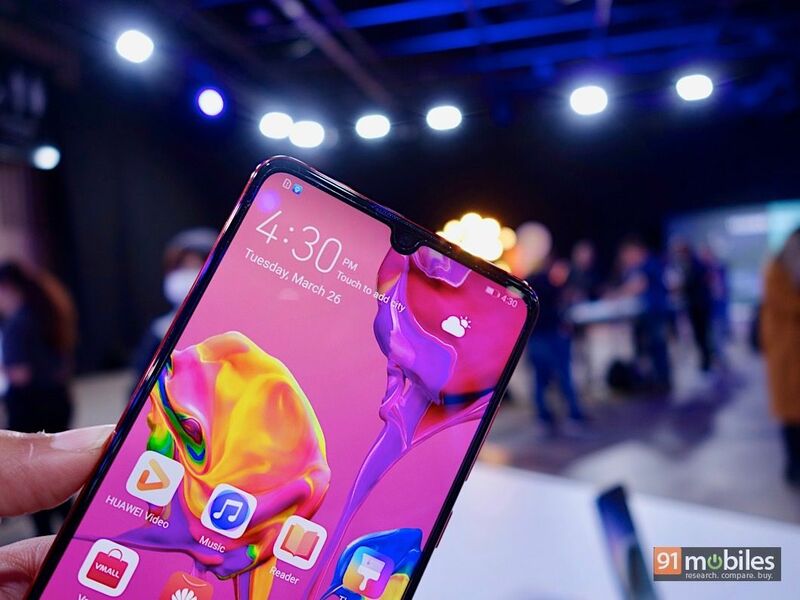 Interestingly, both the phones lack an earpiece, and feature an ‘Acoustic Display Technology’ which transmits sound via vibrations from the display. 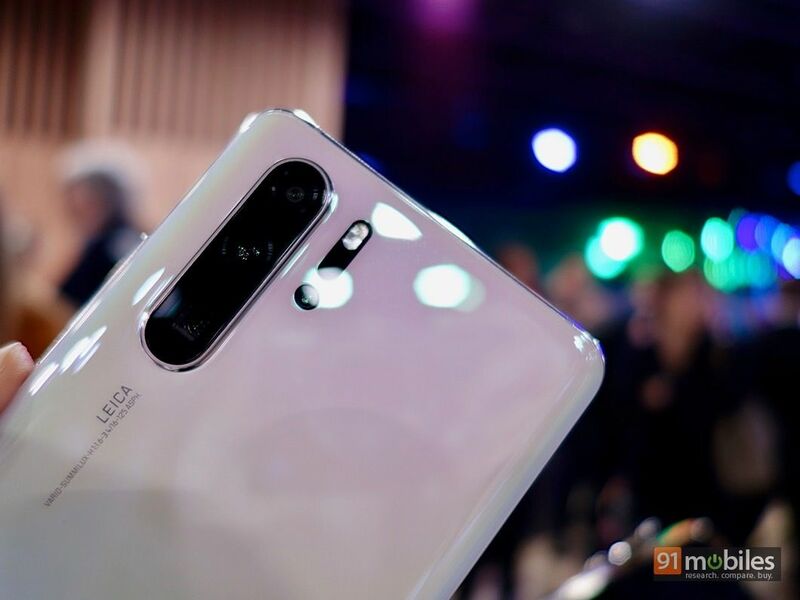 When it comes to the cameras, both the phones feature a new SuperSpectrum sensor which Huawei has developed in partnership with Sony. 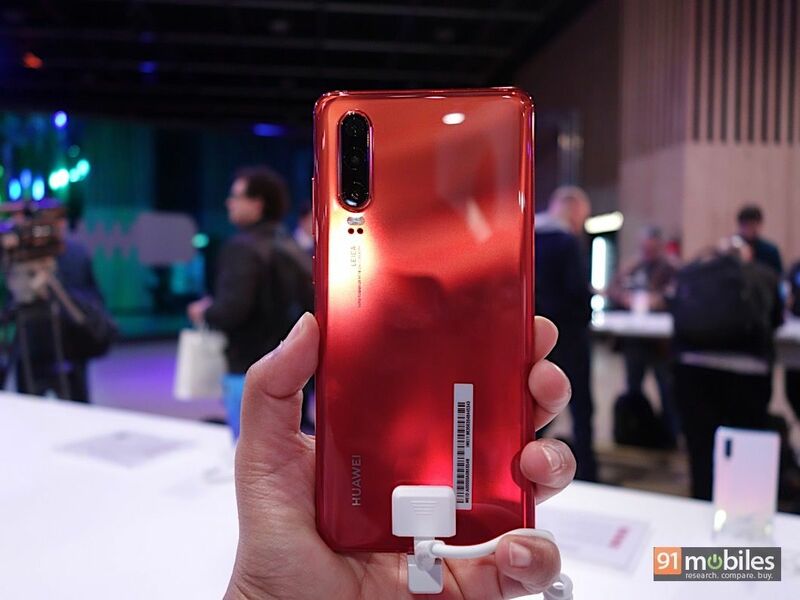 The sensor is RYYB (Red Yellow Yellow Black), as opposed to RGB (Red Green Black), replacing the green pixels with yellow, which according to Huawei allows the sensor to let in more light. 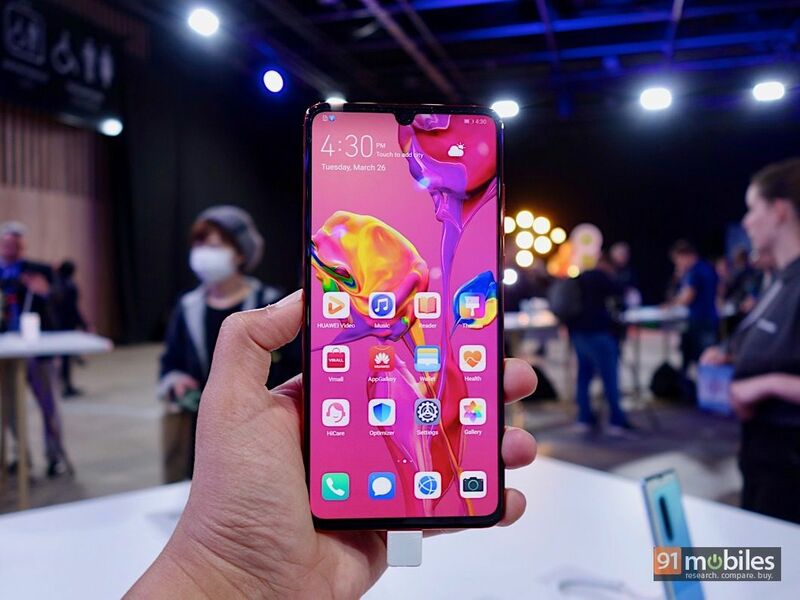 The specs are impressive – the P30 Pro features an ISO rating of 409,600, while the P30 has an ISO rating of 204,800. You can adjust the ISO up to the highest point in the Pro mode, although the use cases for this are few. The P30 Pro features a 40MP main camera with the SuperSpectrum sensor and f/1.6 aperture, a 20MP ultra-wide angle camera, an 8MP telephoto camera (up to 50x digital zoom) and a ToF camera. While the first three cameras are aligned vertically, the ToF sensor is placed next to them, just above the LED flash. 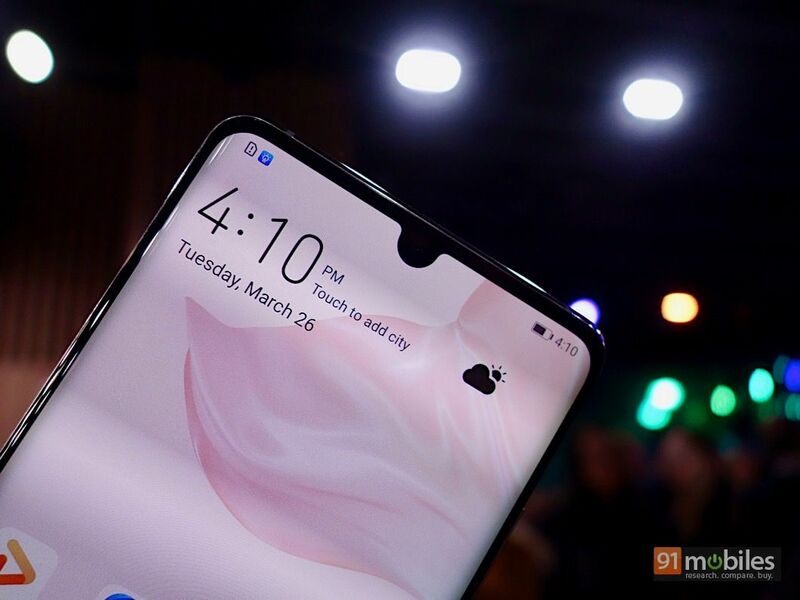 On the P30, you get a 40MP SuperSpectrum sensor, 16MP ultra-wide angle lens and 8MP telephoto lens (up to 30x digital zoom). 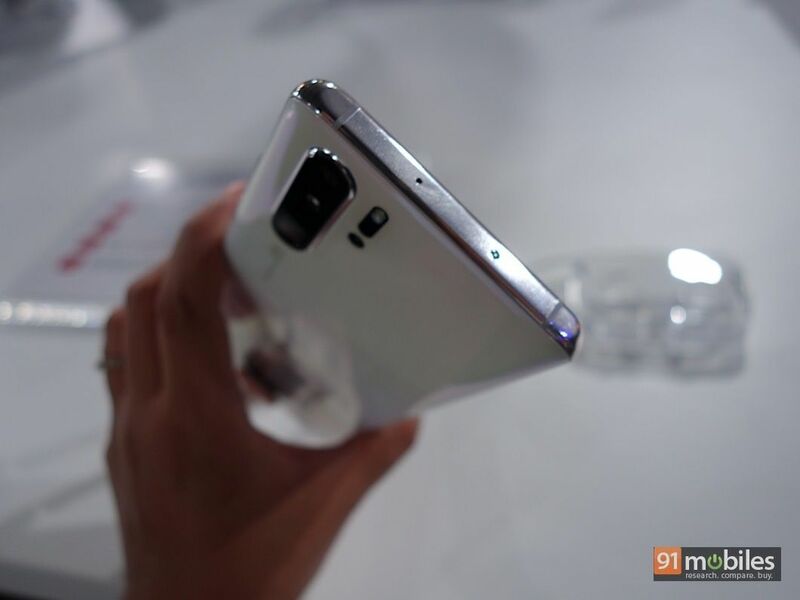 Both the cameras feature a 32MP front camera. I took a few shots with the P30 Pro, and the results are impressive, especially in low light. The digital zoom feature was very handy as well, and since the telephoto lens comes with OIS, manages to get decent results without too much blur. 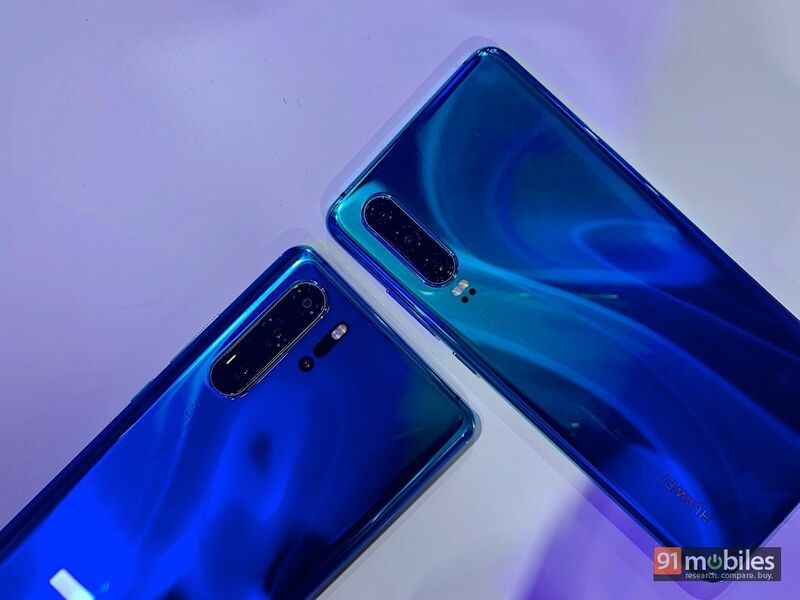 Both the P30 and P30 Pro are powered by Huawei’s flagship 7nm Kirin 980 processor. 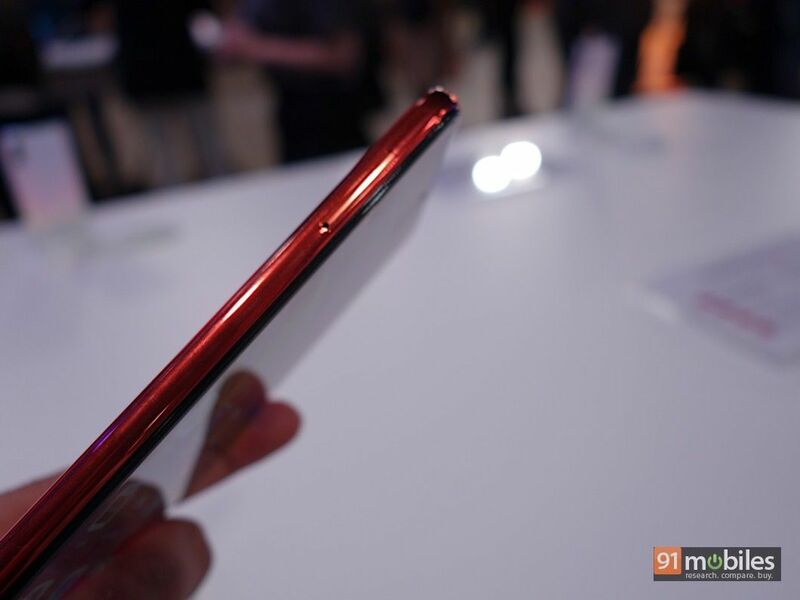 On the P30, this is clubbed with 6GB RAM and 128GB storage, while the P30 Pro comes in both 6GB and 8GB RAM variants, and up to 512GB storage. The P30 features a 3,650mAh battery with 22.5W SuperCharge tech, while the P30 Pro gets a 4,200mAh cell with 40W SuperCharge tech. 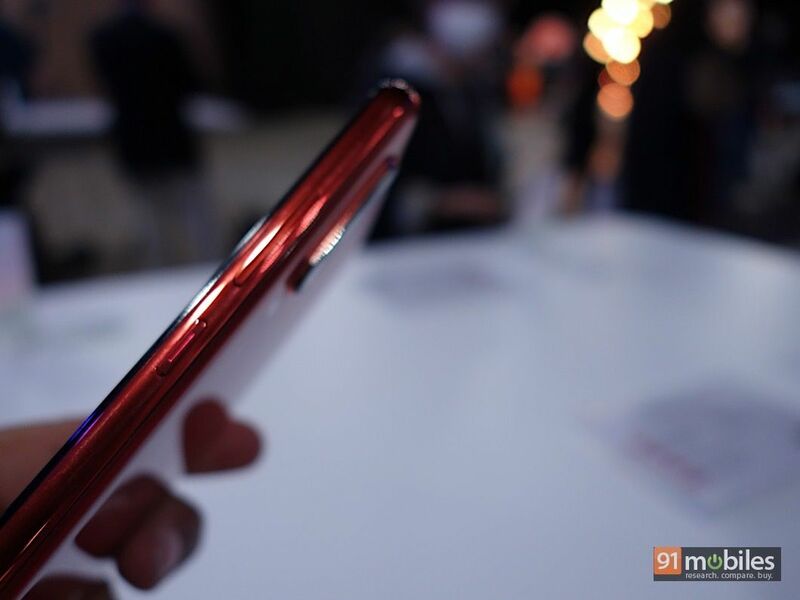 The P30 Pro also offers 15W fast wireless charging, and features reverse wireless charging as well, a feature we also saw on the Mate 20 Pro (review). 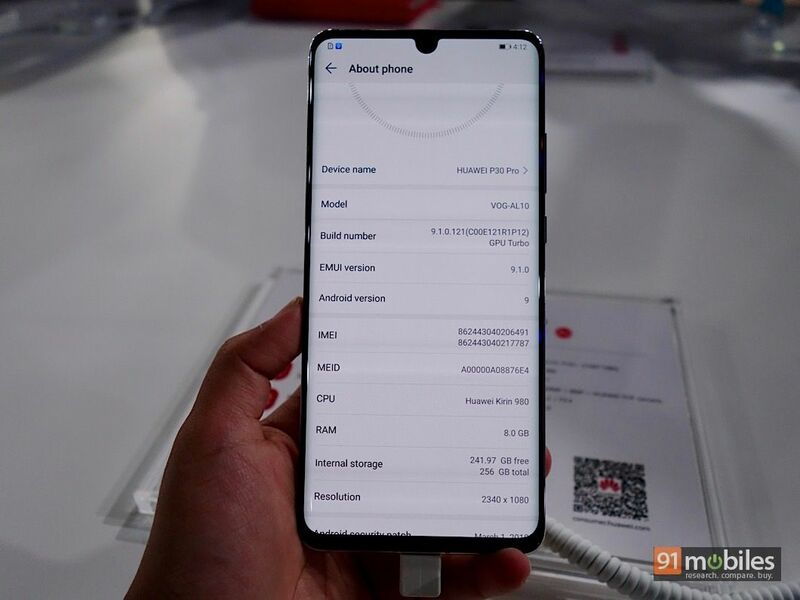 On the software front, both phones run Android 9 Pie with EMUI 9.1 on top. The P30 and P30 Pro are among the most exciting devices I’ve seen this year, and are loaded to the brim, both in terms of camera capabilities as well as raw horsepower. 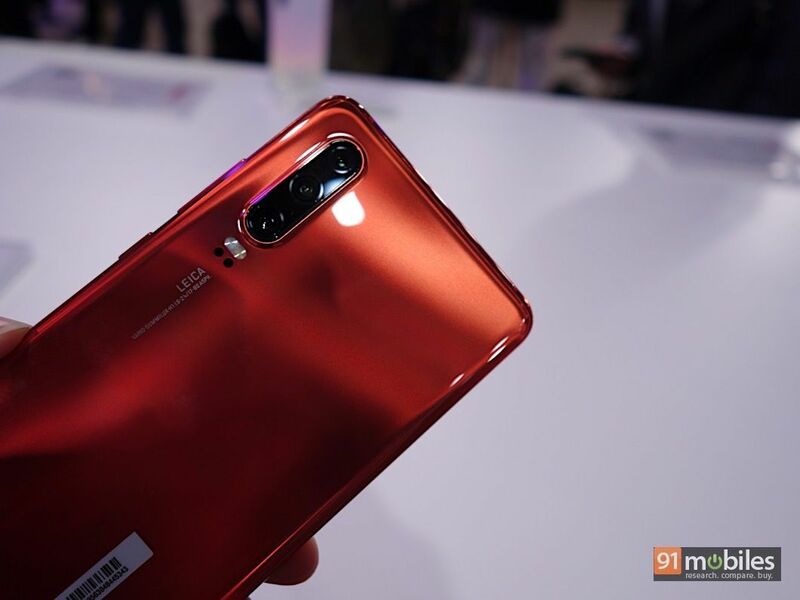 Huawei is planning to launch both phones in India next month, and it’ll be interesting to see how the brand positions them against the Mate 20 Pro flagship, which was launched in India just a few months ago.